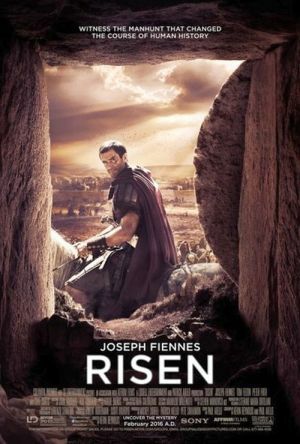 Risen is the product of a sub-industry whose primary source of success is in providing pious pablum for a complacent and undiscriminating Christian market (although, to be fair, this market is not made up solely of complacent and undiscriminating viewers, nor are complacency and a lack of discrimination characteristics only of Christian moviegoers), yet throughout the film there is an explicit attempt to challenge the certitudes of its core audience. At times, Risen does indeed resemble an open-ended investigation. This is unsurprising, give how closely the conversion narrative here has been patterned after the police procedural in its attempt to bring about the resolution of ambiguities. At other times, however, the film is more clearly a work of advocacy, with the viewer never in any genuine doubt about the absolute factuality of Christ’s resurrection – the film’s title, after all, is not so much a spoiler as it is a sign of reassurance to the usual Affirm consumer that the issue of Christ’s resurrection will not be subject to any lasting critique. Abroad, contemporary Americans face a steady supply of hostilities that evidently cannot be stanched, while at home, traditional religious beliefs seem unequal to the anxieties of the present day. In the meantime, the fascination with scientific detective work as depicted on TV has given rise to a widespread belief in the “CSI Effect,” a phenomenon that “incorrectly depicts forensic science as this juggernaut of infallibility.”4 Risen builds on these contemporary cultural trends in its presentation of the ancient story, offering a forensic drama with a skeptical investigator set in the midst of a seemingly unending conflict in the Mideast (though the causes of contemporary conflicts in the Mideast do not get any genuine consideration). But above all, Risen represents an important development of the faith-based film – one engaging openly with issues of doubt – which demonstrates how this particular genre has matured beyond its own pronounced (and profitable) tendency toward banality and oversimplification. Whether Risen in fact escapes from that tendency remains to be seen, as it has not made much of an inroad into the mainstream, but it has perhaps laid the groundwork for films yet to come from the evangelical industry. There is much to argue over here, of course: the declaration that a sincere film about religious belief will necessarily be seen as “authentic” to its maker and others in the faith community, and “cheesy” to those outside of it deserves a hard look. Furthermore, those non-Christians Sheets imagines among his audience may well feel a film made on the premise stated above is pandering to them less for artistic appreciation and more in hopes of getting them to open their wallets. But if we put those objections to the side and grant Sheets his point, it is within this context – the desire of the faith-based filmmakers to display their artistic integrity by doing more than preaching to the choir – that we should be situating Risen. To begin with, far more money ($20 million) was spent to make this film, and while its box office doubled its production costs, it was produced in the hopes of being taken and treated more seriously among mainstream viewers and media. With Risen, it is easy to see where the money went. First of all, a well-known and reasonably talented director was hired (Kevin Reynolds, whose previous work includes 1991’s Robin Hood: Prince of Thieves and 1995’s Waterworld), most of the film was shot on location in Malta and Spain, a more expensive PR campaign was rolled out, and, not least of all, bigger-name actors were cast, including Tom Felton, previously featured as Draco Malfoy in the Harry Potter series, and Joseph Fiennes, the star of 1998’s Oscar-winning Shakespeare in Love, as Clavius the Roman military tribune. The most significant element of Risen’s production, however, was the development by screenwriter Paul Aiello of a more complicated and nuanced screenplay, in which the certainty of faith that we see in the more pious Affirm vehicles has been subjected to questioning. As the film’s detective – with all tenacity and detachment required of the genre – Clavius displays a thoroughgoing skepticism that he is bewildered ultimately to have to abandon, though, in the end, the film remains a work of Christian apologetics. This is not to imply that the story is a dull dramatization of a philosophical debate, by any means: there are numerous tried-and-true components of the police procedural throughout, including examination of witnesses in film noir lighting and a traditional police raid with chase scene. But while the inquiry Clavius pursues ultimately will return to the bedrock faith that Affirm filmgoers expect, Aiello has framed the story as a police drama in which a forensic procedure leads to an unpredetermined and hence “objective” outcome, the sort CSI fans expect. The tension inherent between certainty and doubt is made clear from the film’s very beginning. We see Clavius walking through a desert landscape and coming to an inn, where he will relate to the innkeeper what has happened to him. As a tribune, Clavius has been involved in putting down a Zealot revolt. When he returns to Jerusalem, he is summoned by Pontius Pilate (played by Peter Firth) to oversee the crucifixion of Jesus (or Yeshua, as he is regularly called in the film, played by Cliff Curtis), though he is still bloody from battle. After his death, Yeshua’s body is placed in the tomb, but, fearful that his followers will steal it, a Roman seal is put on the tomb and two hapless soldiers put on watch. As it happens, the body disappears, and again Pilate turns to Clavius and orders him to find the body before it decomposes. What unfolds next, the longest part of the film and its real heart, has been called “the greatest manhunt in history” by the film’s publicists and “CSI: Ancient Jerusalem” by online wags, as Clavius digs through burial pits and cross-examines a host of suspects, including the negligent guards, Mary Magdalene, and the apostle Bartholomew. A dogged investigator, Clavius has left no stone unturned, but none of it is adding up – a few days later, he has tracked the Apostles to their abode outside the city and bursts in on them, usng his sword to force open their door, only to find – Ecce homo! – Yeshua. At this point in the film, the Roman soldier backs up from the doorway back into the sunlight; Fiennes is shot from below with the sun overwhelming his appearance, a powerful if traditional image of enlightenment. Quite literally blindsided, Clavius hesitantly calls off the case, though Tom Felton’s Lucius, his lieutenant, presses him to continue. If ever viewers were unsure about the integrity of Clavius’s moral character, all uncertainty is erased at this moment, when we see the censorious look on the face of the actor best known to us as the smarmy Draco Malfoy. When Yeshua disappears, again, Clavius follows the Apostles as they depart, and eventually joins with them as they make their way to Galilee. In one memorable moment, he demands an explanation from the apostle Peter, who expresses his own surprised puzzlement about the situation. “I haven’t any answer. We’re astounded, too,” he says. CLAVIUS: Why not show himself to all? Or can he be slain once again? PETER: I don’t know. I don’t know. I don’t know. I wish I did, but I don’t. Several times as the disciples and Clavius talk, the disciples freely admit they don’t understand everything and have doubts too. Do you feel like it’s okay to admit when you have doubts, or do you feel pressure sometimes to be 100% certain about God, or the Bible, or prayer? When it comes to God-stuff in the family, is it easy to admit areas where you are struggling/doubting, or do you sometimes feel like you have to pretend you’re okay? If you sometimes feel like pretending, why? They were very much on my mind, very much in my thinking. Clavius very much wants to go home; he is tired of being in this place. It’s the same thing with us, the same problems we are seeing. But yes, occupation was 100% on my mind. How ironic is it that we are back in the same region? I had hoped for more discussion from Aiello on the topic, frankly, but he had little more to add, and when I went on to ask whether the Zealots thus could be seen as jihadists in some way, he demurred. My original thought had been that perhaps there was a sort of political commentary in having the Romans as occupying forces stand in for Americans (and let me note that I have not spoken with director Kevin Reynolds, who might well have such ideas in mind), but Paul indicated that we are not seeing a critique of any particular war in Risen, but rather a depiction of war-weariness as a way of representing disenchantment with the things of this world. As Patrick said of Peter Firth’s Pilate in his film, “Pilate is usually represented as so rigid. We wanted to see him more worn-down. You note that he’s always reaching for a glass of wine.” And it’s true. 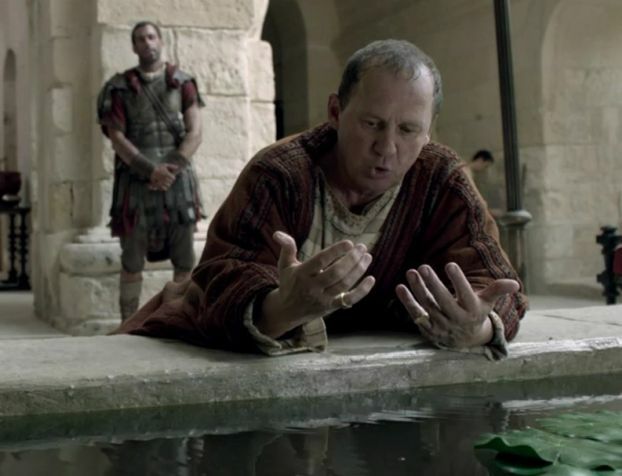 Throughout the film, Pilate seems constantly to be drinking when he isn’t bathing: he washes not just his hands, it seems, but his entire body, even as he attempts to drown his sorrows. In fact, there’s a moment early on when Clavius is in the bath with Pilate, who is grateful for the tribune’s service for both crucifixion and the sealing of the tomb. As they try to soak away the day’s troubles, they talk. PILATE: Your ambition is noticed. Where do you hope it will lead? CLAVIUS: Wealth. A good family. Someday place in the country. CLAVIUS: An end to travail. A day without death. (Pause) Peace. PILATE: All that for peace? Is there no other way? Pilate, who has had a goblet in hand the entire time, then exits the bath for bed, saying, “Tomorrow promises further punishment,” although it’s uncertain whether he means that which he will inflict or that which he will suffer: though he is the chief military and political officer in this part of the world, the imperial job seems to demand more of the prefect than it gives. Say what you will about these scenes, they are certainly more subtle than “a stack of Bibles falling on your head,” and some of the dialogue here is the sort of thing you might very well hear from veterans recently returned from their own engagements in the Middle East. Another question I had for Paul was the name of Fiennes’s character, Clavius, a Latinate enough-sounding name but not really a classical one. “Do you know who Christopher Clavius was?” he asked in response. 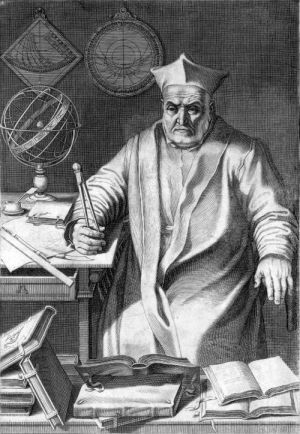 For those who may not be familiar with the history of science, Clavius (1537-1612) was a significant figure, a German-born Jesuit who was a leading mathematician and astronomer.14 A highly respected figure in his day, Clavius was an admirer of Galileo, with whom he corresponded, though on religious grounds he could not bring himself to accept the Copernican system for which Galileo would eventually be condemned. Nonetheless, toward the end of his own life, intellectual honesty compelled Clavius to ponder what impact Galileo’s insights would have upon the church’s geocentric understanding of the universe. As one scholar remarks, “The failure of the Ptolemaic cosmology to measure up to the scientific demands of early seventeenth-century astronomy must have bewildered Clavius.”15 Having peered through Galileo’s telescope, Clavius became uncertain about what was really true in the system of which he was a principal part, and, like the Clavius of Risen, the evidence of his own eyes required a massive paradigm shift. Artfully and indeed learnedly, Aiello’s screenplay employs the name of a principal figure in the scientific revolution as a way of pointing to the transformative experience of the epiphany for his Roman tribune. Though named for a sixteenth-century man of learning, Clavius also has a more immediate model in television. As a dramatic matter, Patrick Aiello told me, the jokes about CSI: Ancient Jerusalem all have a sound basis because Risen is very much patterned after a TV detective show. “The film really follows the template of Chinatown,” he said. “And yeah, the Netflix mandate is at work here. Procedural dramas have a great shelf life. This is a template that is in the Zeitgeist, a very easy formula to work with and for viewers to handle.” Twenty-first-century Americans love such shows – CSI has been on since before the George W. Bush presidency – and so Risen gives them the story of Jesus as a dramatized police case.16 Indeed, we see a sundial and an anachronistic hourglass on Clavius’s desk, as we might see a clock on a detective’s, iconographic emblems of the detective’s race against time. In a deleted scene, Clavius handles the physical evidence of the crown of thorns and the Shroud of Turin-like blanket that covered Yeshua’s corpse. What we are to understand is that Clavius is a dispassionate investigator working on a case, following to their logical conclusions the results of his inquiries. But there comes a moment when the logical conclusion is that a man whom he has seen die and whom he himself has buried is decidedly not dead. This cannot be true, he thinks, and yet it must be. In an ordinary mystery, we might expect the detective to walk away from the case in frustration at such a turn of events, as happens at the end of Chinatown. In Risen, however, Clavius walks away from his world and into the surrounding desert. It’s a significant name for the film, because Clavius is a detective figure, a person using scientific method to solve a problem – here he is proving a truth by a negation, a missing body to prove the resurrection. . . . Clavius the character and his arc were created and written before I found the name. Yes, I used the name because he mirrored Christopher Clavius’s law and in fact proves it by what the tribune goes through on his mission. And if the viewer were to take these biblical events as evidence, they might struggle with them but would reach a similar conclusion. However, the most significant thing for me about Clavius is not his name but his transformation from a man trapped in endless days of death to an unlikely discoverer of a new life and freedom through Christ. And he’s a forerunner of many Romans to come, which leads to the Empire’s change. Before his march to the desert inn, the scene with which Risen begins, Clavius has a final conversation in Galilee with Yeshua, who puts his hand on the tribune’s shoulder and begins to question the questioner: “What is it you seek, Clavius? Certainty? Peace? A day without death?” Hearing his own desires, expressed in Pilate’s bath earlier in the movie, repeated back to him in such a different context, Clavius gives Yeshua a look somewhere between bafflement and understanding, before he finally looks down to break into a broad smile. At this critical moment in the narrative arc, with this final touch on Clavius’s body and the last cheerful look on his face, the Aiellos’ film attempts to be all things to all people. For the traditional Affirm filmgoer, the smile signals the beginning of the end of Clavius’s travails, perhaps recalling St. Augustine’s classic expression about relief from spiritual anxiety, “Our heart is restless until it finds rest in you, Lord.”20 A more agnostic viewer might be less sanguine. An Apostle not depicted in the film, Doubting Thomas, had once declared, “Unless I see the nail marks in his hands and put my finger where the nails were, and put my hand into his side, I will not believe it” (John 20:25). When Jesus appeared to him a week later, Thomas did not avail himself of the opportunity to examine the wound but simply declared, “My Lord and my God” (John 20:27-28). Clavius has required more proof, which Yeshua has happily provided by revealing Clavius’s own desires to him and then adding a pat on the shoulder – the sort of encouragement even a skeptic appreciates as well as the physical evidence a detective, ancient or modern, requires to conclude a case. As a film, Risen is the product of a sub-industry whose primary source of success is in providing pious pablum for a complacent and undiscriminating Christian market (although, to be fair, this market is not made up solely of complacent and undiscriminating viewers, nor are complacency and a lack of discrimination characteristics only of Christian moviegoers), yet throughout the film there is an explicit attempt to challenge the certitudes of its core audience. At times, Risen does indeed resemble an open-ended investigation. This is unsurprising, give how closely the conversion narrative here has been patterned after the police procedural in its attempt to bring about the resolution of ambiguities. At other times, however, the film is more clearly a work of advocacy, with the viewer never in any genuine doubt about the absolute factuality of Christ’s resurrection – the film’s title, after all, is not so much a spoiler as it is a sign of reassurance to the usual Affirm consumer that the issue of Christ’s resurrection will not be subject to any lasting critique. In the end, the resolution of Clavius’s doubt probably does little to resolve anybody else’s – to see an on-screen skeptic converted, after all, is not to be a skeptic in the audience converted – and most viewers likely finish the film in much the same state of mind as they began it. In the end, the missed opportunities in the film are legion. 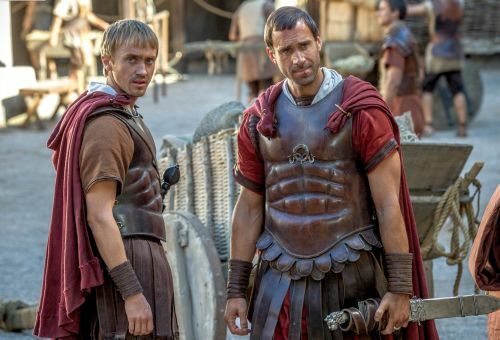 It would have been remarkable to see a more sustained engagement with the logical contradictions of the Lex Clavia in the film’s dialogue – how substantive it might have been had Fiennes’s Clavius actually tried to reason the problem though with Felton’s Lucius (who is otherwise wasted in this film) rather than simply dismissing him. And the reliance on a smiling Yeshua to solve the mystery is as lazy an invocation of the classical deus ex machina concept as you might find in a film. Few of us get a shoulder rub from the Messiah to assuage our troubled spirits, after all. 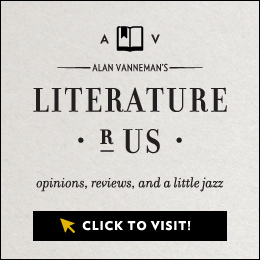 And it is disappointing, too, not to have seen more done with the wartime setting beyond the idea of battle fatigue as a metaphor for soul-weariness. Still, by acknowledging that contemporary Americans trust forensic investigators more than religious institutions, the producers of Risen have attempted to offer a more complicated if ultimately still orthodox version of the traditional movie about the Passion. Undoubtedly, filmmakers focused on the evangelical market will continue to produce cheap and easy fare for their basic audience, though some might take their cue from the reception to Risen and rise to the challenge of more complicated works about faith and doubt. 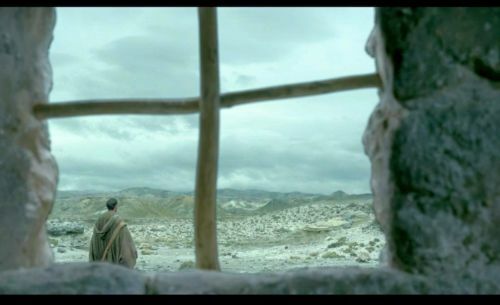 The final shot in Risen: Walking off into the desert, an uncertain Clavius is seen through a window that forms a highly symbolic cross. 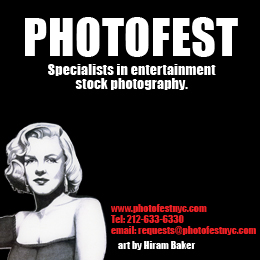 Unless otherwise stated, all images are screenshots from the film, courtesy of Columbia Pictures/Sony Affirm. Chris McDonough holds the Alderson-Tillinghast Chair of Humanities at the University of the South in Sewanee, Tennessee, USA. He is currently finishing a book for Edinburgh University Press called Pontius Pilate On-Screen: Sinner, Soldier, Superstar.